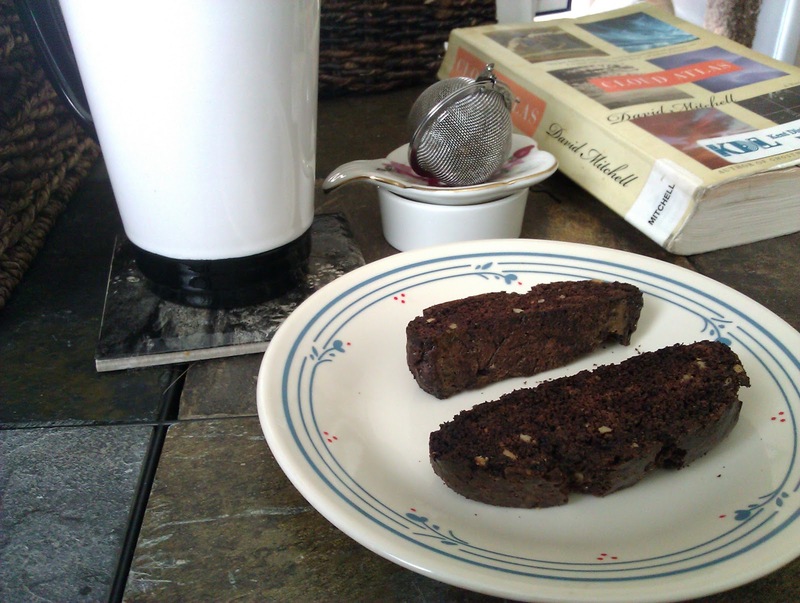 This morning I still felt like baking, so I decided to try my hand at home-made biscotti. 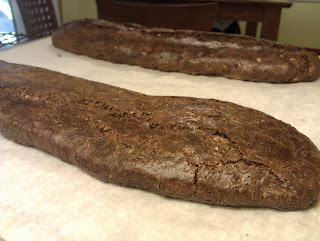 There are a bunch of recipes I'd like to try but I was feeling in the mood particularly for chocolate so I thought this highly rated Brownie Biscotti recipe might be a good one to try. The entire process was pretty easy. 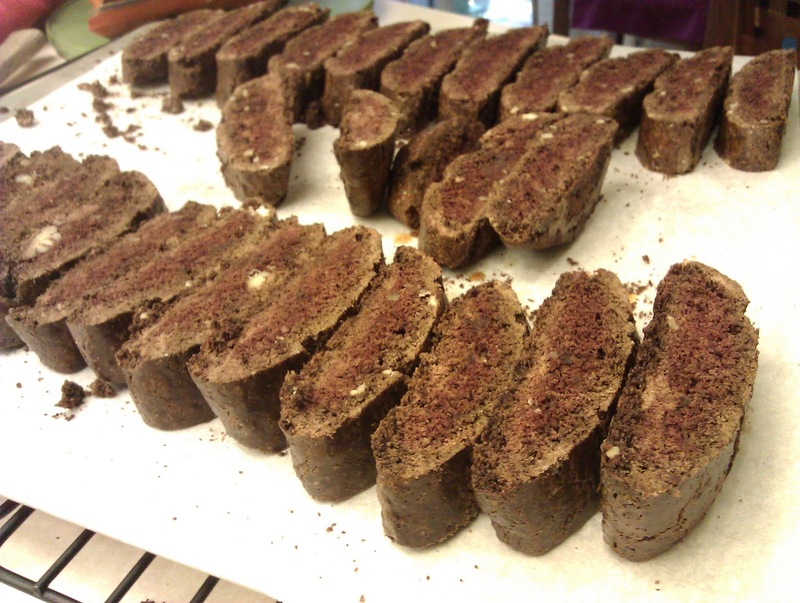 Bake as a loaf, slice, then bake each side again. The end result were tasty, although slightly burned, biscotti. We also finally installed the Snail Mail Notifier so it works properly with the mailbox. Chris has a write-up on his blog and I'll do a longer one once it is in a more permanent enclosure and I tweak some of the code. Maybe even add some bells and whistles, like ultrasonic proximity sensor that tells you a guest has arrived on the doorstep.